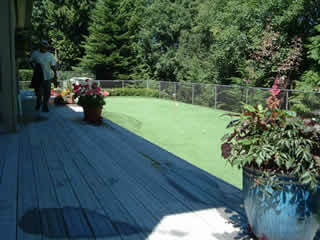 Southwest Greens is available for the installation, and construction of your Seattle putting greens almost all year around. We can custom design your personal indoor putting greens to your specifications and install your synthetic lawn as quickly as possible. You can practice your short game on your outdoor backyard putting greens whenever you want to. Best of all, the construction and installation of your new area will require little maintenance, saving you time and money. Seattle Washington indoor putting greens by SWG Seattle will not look so real, you will have to remind yourself not to water them! 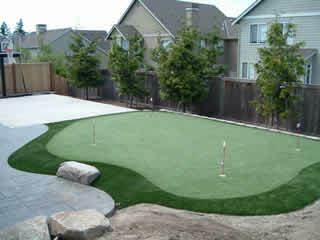 We pride ourselves on offering the best backyard and artificial putting greens for your home or commercial needs. 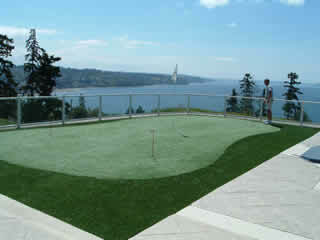 Seattle Washington putting greens will bring your backyard area to a HOLE new level! Contact Southwest Greens Seattle to start building a synthetic lawn that you can be proud of. Installation and construction of outdoor and indoor synthetics are our specialty. 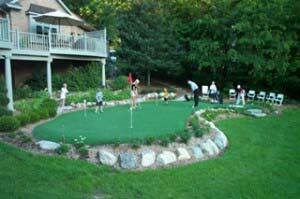 We will build an artificial putting greens and backyard putting green for your home or commercial area designed for your personal needs and golfing abilities. Stay home indoors or practice outdoors year around knowing your putting green installation and construction came from the pros at SWG Seattle! Ask for a free green consultation today.